Iceland’s Prime Minister chose International Women’s Day, March 8, to unveil the world’s first national law to enforce wage equality. 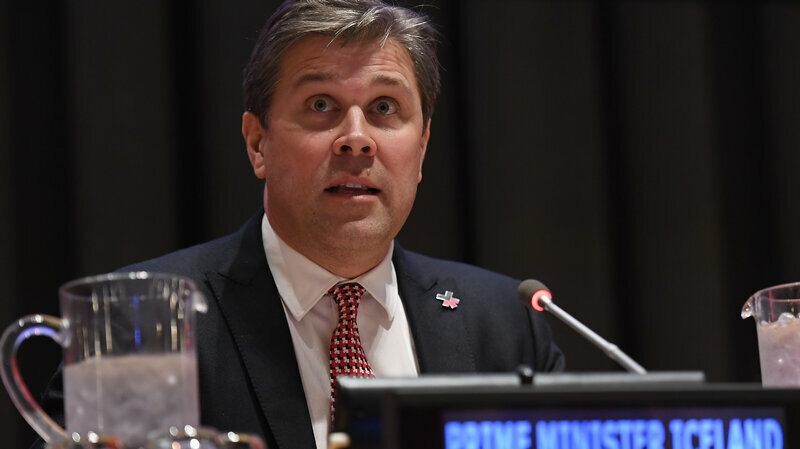 “Gender equality benefits all of us,” said Prime Minister Bjarni Benediktsson when announcing the legislation at the HeForShe press launch. While there are other countries and states that have enacted equal salary policies, Iceland would be the first to mandate equality nationwide. The law, which would go into effect in 2020, would require all companies with more than 25 employees to certify that pay equality was being used within the company. This certification would take place every three years. With the help of this policy, Iceland hopes to eradicate the gender pay gap by 2022. Iceland has been a leader in narrowing the gender inequality gap. The World Economic Forum has repeatedly ranked Iceland the country best in the world for gender equality, including in 2016. The United States, in contrast, ranked 45 out of 144. But Icelandic women still earn an average of 14 to 18 percent less than men. In October, thousands of Icelandic women left work at 2:38 p.m. to protest. Women’s rights groups calculated that after that time, women were working for free. The law is expected to pass parliament easily. Nearly half (48 percent) of the 63 parliamentary seats are held by women.